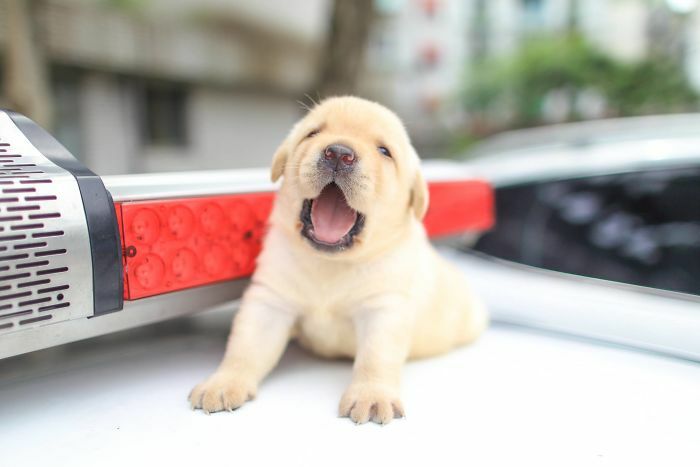 Meet Lucky Star, Schumann, Feida, Brother, AJ and Full Moon – the newest (and the most adorable) dog baby additions to Taiwan’s Police K-9 units. 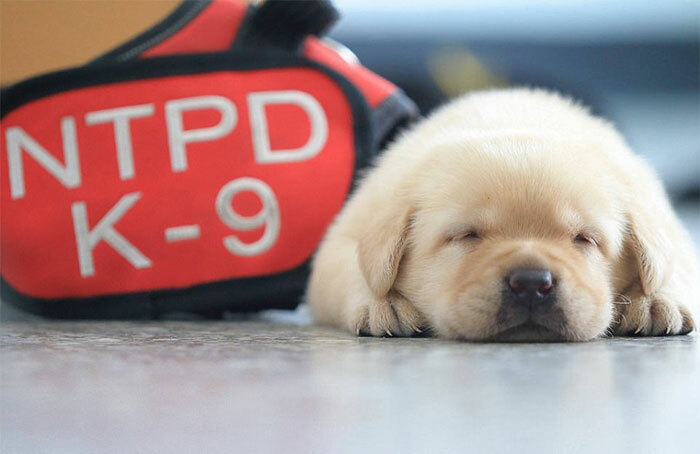 These cuddly and sleepy puppies are about to start their training and will eventually have a serious role in the NPA’S K-9 Anti Bomb And Drug force and Blood Detection units based in Taipei. 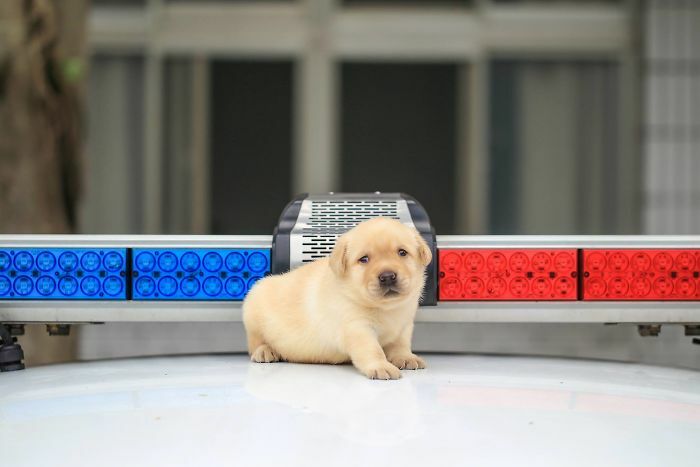 It seems that working for the police runs in their blood. 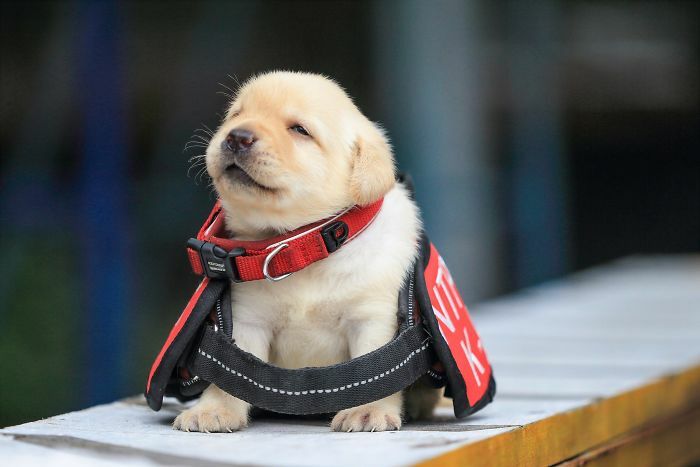 “The puppies’ mom, named Yellow, is in the K-9 unit… the department that [deals with] anti drug and anti bomb [issues],” a spokesperson from the NPA told Mashable. 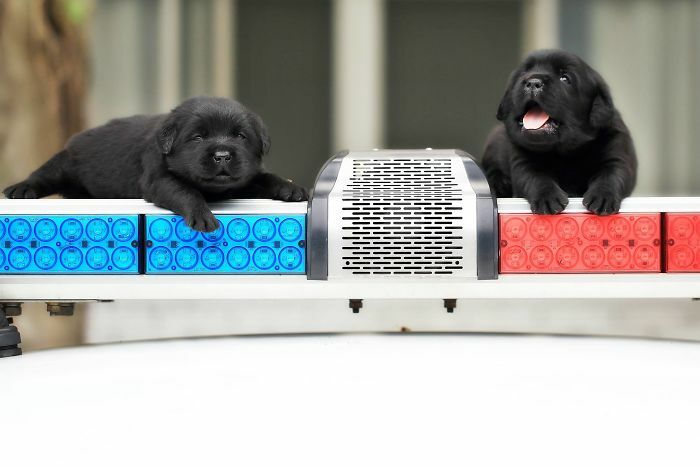 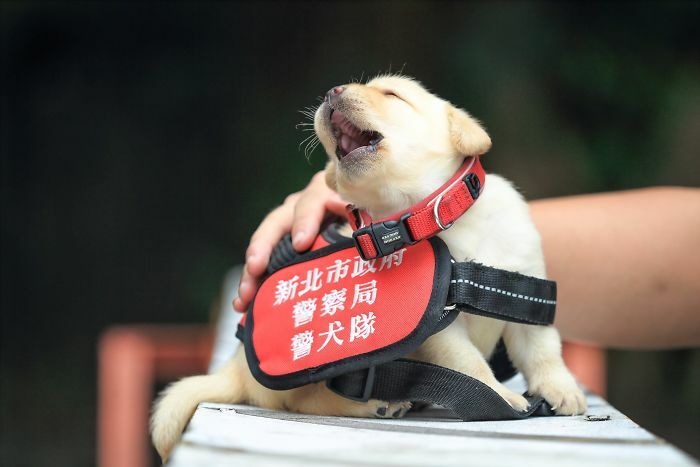 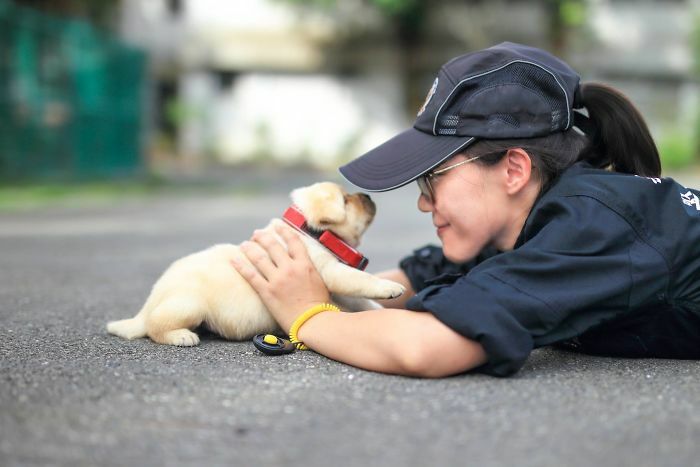 “We hope that in the future the puppies can be like their mother Yellow, that they can pass through training successfully and enter the police force,” the NPA said in a post on Facebook.” The Labradors’ dad Leader is a sniffer dog, too. 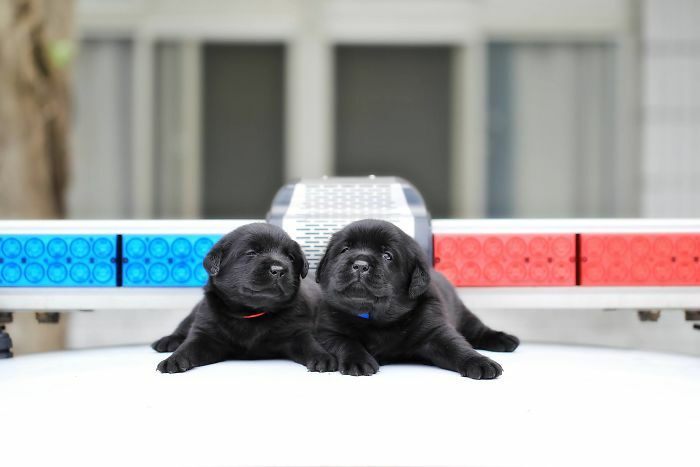 However, for now the 1-month-old puppies are still more into sleeping and eating than fighting crimes and saving the world. 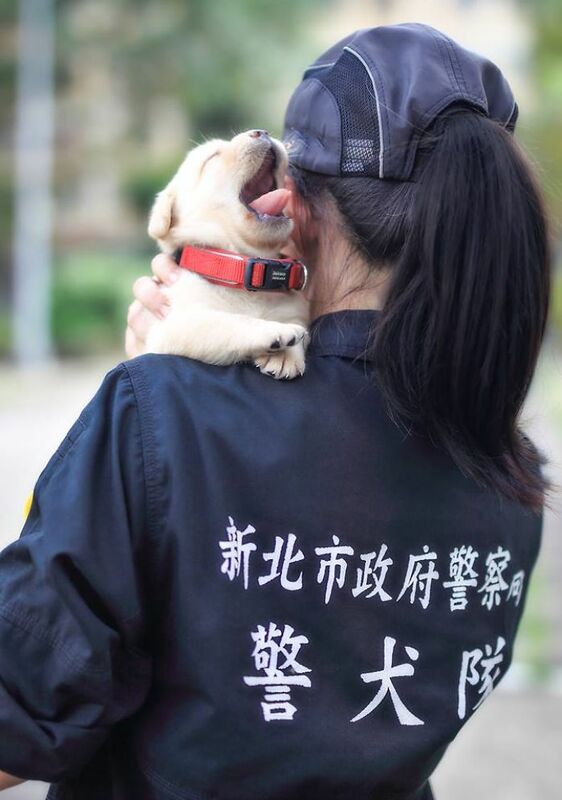 “Sometimes, [Lucky Star] would fall asleep while eating, and then he would wake up suddenly and carry on eating like nothing happened. 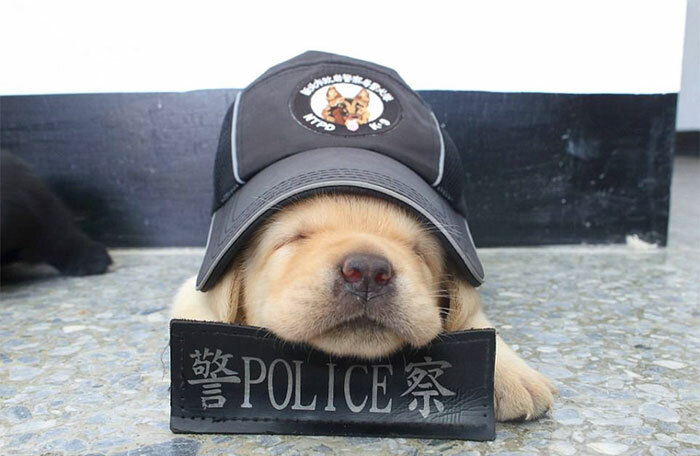 How could people not love something as cute as that?” asks Captain Pan from Taiwan’s Police.